I have approached seventeen top bloggers with two questions. Yeah, I made a short written interview with them. It was all about two questions. And, all of them replied almost instantly with a whole basket of knowledge. Trust me you will get to know why they are always top bloggers by reading their answers. I am truly grateful to every single blogger who shared their words of wisdom with my readers even in their tight schedule of work. And I wish all your future endeavors to be a massive hit. So now, I am leaving the stage and inviting them to take charge. “What’s the big mistake you did in your entire blogging career that taught you the biggest lesson”? Answer – The biggest mistake I made in my blogging career was not having a set monetization plan or product to sell in the first place. Looking back and already seeing nine years of successful blogging, it’s easy to say what you should have, would have, could have done… but it’s a learning process. If you don’t currently have a monetization play or product in place, make sure you are collecting emails, as this is something that will continue to grow in size and value as your name and blog develops and reaches new audiences. To see how some of the top bloggers and online marketers are using popup windows to massively grow their mailing list, check out this reference. “Suppose you are left with $100 & you want to start a blog from scratch. Then, how do you spend those $100 for making the blog profitable”? Answer – I would grab a domain name, setup hosting and install WordPress. I would also get a premium WordPress theme and maybe a quick logo from a site like Fiverr. All of that in itself should cost under $100. As for the content, I would choose an industry, find as many experts as I could and then interview them all through video and audio. The video would be used for an online course that I could sell, and the audio would be used for a podcast launch. All of this would tie back into building traffic and exposure for the blog. I would also reach out to all of the experts I interviewed and ask for them to share the content with their audiences as well. Once all of this is done and in place, you could sell the course material for $100 and offer a 50% affiliate commission to anyone who wanted to promote it. Following this model should easily bank a couple thousand dollars per month depending on your niche market and efforts. Answer- The biggest mistakes I ever mad in my blogging career is – not outsourcing people. When you are into online business then you want to do everything yourself. You have the mentality to build your business at your own, so you avoid people. This was the worst mistake I ever made. People are the assets. Once you start using them in a right way, your online income can increase in just few weeks. 7-8 months back, I hired few writers and link building experts for my niche blogs. Surprisingly my income increased 3-5 times. Answer- The very first thing I will do is, buy hosting from DigitalOcean. Which is just $5/month hosting plan with SSD VPS. Grab a domain in $2 (here is trick to buy cheap domain) and use a professional looking FREE theme for first 3-4 months (as we have limited budget). Because of the budget constraint, I will write first 10-15 articles myself and start doing guest blogging on other authority blogs to build the backlinks as well as authority. With my calculation, you can start a professional blog (which will be profitable in 2-3 months) under $50. 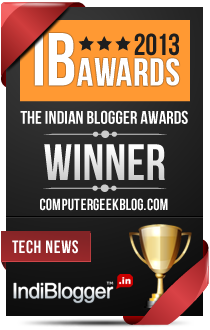 Bio – This is Kulwant Nagi co Founder of bloggingcage. Been a “full time blogger” since 2011. Away from the blogosphere, He loves listening to music and am a tech enthusiast. Answer – To tell the truth I started blogging so long ago that I can’t recall anymore if there was big mistake or not. I don’t really think there was a “big mistake” or any “big mistakes”. I just learned as I went and kept tweaking things as I saw fit to improve my writing skills and the way I communicated with people. I don’t believe in “mistakes”; they are positive things as they teach you valuable lessons and make you grow. It’s just like Albert told Bruce Wayne “Why do we fall? So we can learn to pick ourselves up”. Answer – I would use part of $100 to buy a domain name and get a hosting service (because that’s only where you really need to spend money on). Then I would write content targeting the right audience and keywords. I would also contact other bloggers to start getting to be known in my niche through guest posting and participating in expert roundups like this one here. Bio – Louie Luc is a full-time internet marketer and blogger. He started his career in 2000 and has done a bit of everything. He loves writing about online business and traffic generation tactics on his Buzz Nitrous blog. Answer- Being a blogger, we make a lot of mistakes every day, and they are good in fact because until we make mistakes, we don’t learn. The big mistake I did in the past is I used to give dofollow links to advertisers websites, and due to that I faced Google’s unnatural outbound penalty. However, later I got the penalty revoked. I learned a big lesson and stopped giving out dofollow links in sponsored reviews on my main blog. It did hamper my blog’s traffic to a greater extent, and it took me more than seven months to get back the traffic. So I consider this as my biggest mistake. One more mistake I did that I used to write without choosing any profitable keywords in the past even I was well aware of SEO stuff. You may call it my laziness or something else, but it was a blunder mistake. But, I rectified this mistake and started to research good keywords before I create content for my blog. I have been making mistakes and learning from them. I am happy that I have rectified the above two big mistakes which proved to be very helpful to me and my blog. Answer- Interesting question indeed. I haven’t been in such kind of situation yet. But, if I would have only 100 USD left with me, I will spend on getting a professional WordPress theme and a branded logo because look and feel of a blog are the first things that attract audience. Before getting a theme and logo, I’ll go for a good web hosting company because without a good web host; blog success is tough. Why would I spend these 100 USD on these things that are only the starting point? Because, when you start well, you can take things further in a better way. Suppose you have great content on your site, but due to a bad web host your site is mostly offline then what’s the benefit? That is the reason choosing a good web host should be the first priority. About the look and logo, it’s important because they make a good place in audience’s mind for your blog. Suppose if you don’t have a logo on your blog, how people will remember it? A good logo is the best thing to have on the blog for better branding, and it is memorable too. After all this, content creation is important which I don’t think needs investment if you write the content on your own. You just have to spend “Time” as an investment. So, I would invest the first 100 USD in choosing a good web host, a professional theme, and a logo. However, It seems 100 USD is not well enough for all these three but it is possible to get all these under 100 USD if we look out for offers and good deals. Answer- Though I have entered into the blogging arena few years’ back, I am yet to establish a stand on this field, may be the main reason behind this drawback or the biggest mistake I made is not finding much time in obtaining or learning sufficient knowledge in the area of monetization. Yes the lack of knowledge in the technical aspects along with the monetization connected with blogging taught me the greatest lesson. That is to get basic knowledge in blogging along with the essential technical knowledge and the monetization. Answer- If I am left with $100 the first thing I do is to select a specific niche, instead of opting for a multi niche page I do select a specific one. And go for a good domain and a user-friendly web hosting platform and of course along with that the next thing I do is to hire an expert hand in handling the technical aspects of the blog of course this include the monetization of the blog too. Another important point I would like to note here is that: “Unless and until you are able to do this, your blogging career do not find much fruits! A freelance writer, editor and a blogger from Kerala. Based at Secunderabad, Telangana, India. Answer- My biggest mistake in my blogging career was the fact that I spent a year doing ghost writing for a blogger. In this time, I didn’t build a reputation for myself and I didn’t connect with other bloggers. I didn’t even had my own blog. You can read more about my story here. The biggest lesson that I learnt from this experience was to always provide my work under my own name. So, even if I’m paid to do a post for another blogger, I always insist on having my name there. I think it’s fair. My clients get the traffic and the leads they want, and I can use their results to prove the quality and value that my work has. This also helps me to get new clients. 1. Pay for hosting. Don’t create your blog using Blogger or WordPress.com. Although this options are free, your blog will look ugly and you won’t have full control over it. Whoever is hosting your blog for free can shut it down whenever they want, for any reason. Also, if you use free hosting, they own your content and they can use it anyway the want. The best option is to pay for hosting on WordPress.org. 2. Choose a relevant domain name and pay for it. Naming your blog as yourself makes sense if you already have another blog and you want to make your brand more famous or if you already have a successful offline business. But if it’s your first blog, I don’t think somebody will search your name on google because nobody knows you. In this case, a domain name related to your niche it’s much better. Another advantage is that if you ever decide to sell your blog, no one will want to buy a blog on your name. A disadvantage is that it’s more difficult to keep the same name if you later change your niche. When I picked my domain name I gave it my own name because I didn’t have a clear plan for my blogging career then. 3. Buy a nice theme. Although a premium them is almost $100 or more, you can find some nice themes even cheaper. You can start with a free theme, but I advise you to change as soon as you can afford it because a blog with a free theme it’s not appealing to visitors and has a lower conversion rate. Think of it this way: if you have 4-5 well-written articles on your blog and a premium theme, then a new visitor will already think you are an experienced blogger. Very rarely, a new reader, that has just landed on your blog, will check all you archives to see all your posts. Fake it until you make it. Until you will be an experienced blogger with lots of readers you must at least look like one because if it’s so obvious that you are a newbie people won’t stick along to much. They will think you don’t have anything to teach them because you are a beginner to. This is not the impression you want to give to your audience. I have been blogging since the past 7 years but I miserably failed to build my personal brand. People read my blog, they know me by name but this is not enough to build a personal brand. Now that I have learned the value of personal branding, I am taking actions to promote myself. I have started taking blogging workshops to interact with people that will help me a lot in building my personal brand.  my digital marketing agency PlugResponse (PlugResponse.com). Answer- As Anil Agarwal has explained in his article, you just need a domain name, a reliable and affordable webhosting, and a premium theme to start a professional blog under $100. This is exactly what I would do if I need to start a blog under this budget. Also, I suggest reading these blogging tips to everyone who wants to take his blog from zero to hero. This is how we can make our blog successful and profitable. Bio – Ankit Singla is a full-time blogger who loves to explore blogging. He has a passion for helping newcomer bloggers make their blog noticeable and money making. Answer- There are few big mistakes in my short span of 8 months and if you want be to pick only one out of many, then it should be buying the web hosting from Blue Host (Indian Server) instead of Blue Host (US Server). Within 2-3 months of blogging, I have faced a ton of downtimes, error, and many issues now an then and atlast has to switch to Hostgator after 6 months. With that experience I never encouraged my clients to choose Blue Host Indian servers but can go with US servers. If you are trying to ask me to build a blog from the scratch hoping that I have already had a blog and webhosting with a Premium theme, then I would like to invest my most of the share to purchase a premium Email list builder for a good enough discount for a year or so or for life based on the Email list builder I would choose for. Email list building is one of the crucial factor that helps a blogger to excel in future success in earning once it is integrated and used effectively. One of the biggest mistakes I have done is not implementing Email list building at the very start of my blogging career. Once you have a good email list builder and with decent landing page with some freebies offer for the subscribers, it is always a successful strategy in collecting emails and then use for successful email marketing. If I need to start a new blog with 100 USD without having any web hosting or Premium theme previously, then I invest my 40-50% to a Premium Web hosting (with a quite a bit of discount offer/coupons available time to time). I will go for a premium theme ranging between 35-40 USD range. The balance amount I invest in purchasing a premium Email list builder (rither in monthly or yearly mode whichever fits my budget). Remaining answer can be same as the one discussed above at Answer 1. Answer – Well, we make many mistakes being a blogger. However, some affect us very deeply. The biggest mistakes in my blogging career was not allocating a fixed time for each task. We work from home, so thing that we have a whole day for doing a single task. It’s a wrong way of accomplishing things. We need to do lots of work alone. So allocating a fixed time duration is the right way to be focused and getting expected results. Thus, we can complete other tasks in time. I’m learning this thing till now. I wasted so much time in doing a thing for longer than expected hours. There was high need of stopping it. I learnt from my mistakes and trying to stick myself with the time constraints. Answer- In this case, I would find a cheapest and good performance hosting. Starting a micro niche blog will be a good idea. Either I would start with the Blogspot. I will buy a domain to place it on blogger platform. Now, I got able to save the cost of hosting. I would spend most of the dollars over promotion and marketing activities of my blog. I would search for a profitable low competition niche then keyword research will take place. I use Long tail platinum to make this task easy and less hectic. Now the post writing part comes into the scene. I would write high length – quality posts on my blog. I will optimize them properly. Then competitors’ backlinks will be analyzed. My link building strategy will be focused on link relevancy, number of referring domains, and of course I will make sure that the most of the links will be contextual. To attain links, I will approach other bloggers as well as web 2.0, and link purchase can be considered. I will use the $100 budget in buying links if having issue in ranking. Once we the traffic starts come into, I will do A/b testing to track the conversion and will make changes accordingly in the content. The higher conversion rate= High profit. Bio – Nikhil Saini is co founder and chief editor of myquickidea. Answer – In this case I will use my money in 20:50:30 ratio. I will spend $20 in building a website that will include domain name and hosting. Though I have limited budget I will prefer to go with free wordpress theme. I will do all On-page SEO work myself to ignore extra costs. Then I will spend $50 to get linkbait content to add real value in website and rest $30 will be there for marketing that content and website over social media and on other channels. Hope this plan sounds good to you! Do share your opinions about same. Bio – Yogita aka Tanya, a passionate blogger based in Delhi. She loves to read and write personal, entertainment and technology blogs. Apart from blogging she likes to spend her time in shopping and clubbing. Answer – A. I did so many mistakes, so many that it’ll take weeks to write my answer, but all those mistakes helped me to grow. For example, when I started to blog properly, I focused on branding my blog, improving the SEO, but I forgot to build a proper email list, I didn’t give important and equal preference to this. If I started to do this earlier, then I would have mastered some extra skills in email list building. If you haven’t done this yet, don’t worry, never too late, start it now. That’s it. I always believe quality content comes first, so I’ll work on improving our blog content then I’ll do the branding plus promotion on my side. Bio CEO and Founder of Slashsquare, Indian Blog Network and Web Consulting Media. HBB is a part of Slashsquare Network. I’m a Tech Blogger, Striving Entrepreneur, Atheist, and Proud Indian. Answer – As newbie, I did make a few mistakes in blogging. As I entered blogging without any prior planning, I started writing on anything and everything. I was not researching on the topics much. Whether the topic is unique or not, whether the topic it at all worth writing on; these questions went unanswered. Another grave mistake on my part was, was not doing any social promotion. Thus, my blog took quite some time to achieve greater visibility. However, as an avid reader, I started reading pro bloggers and learnt the quite a few tricks from them. This helped me lot. I think, the most important and often underestimated part in the blogging is networking. Networking with other bloggers and of course learning from them can take you all the way from being a newbie to a problogger. Answer – The 2nd question is bit tough to answer. If I had $100 left in my pocket, then the first thing I would do is to purchase some good theme and plugin for my blog to start with. Contrary to the believes of many, blogs are not money making machine that makes money from the 1st day only. It takes some time get going. The main thing is to start with is creating a quality blog and user-friendly environment for your visitors. This way one can gain huge reader and in turn start making good money. Answer – The biggest mistake I did by choosing wrong business partner, in the beginning I decided to work with my best friend and I lost 20000$ in that business. Because he was best friend I trusted him blindly and I faced a huge loss. Whenever you are starting blogging or doing any business dont do with your friends. If you do sign a legal contract and be very professional. Clear you needs & expectation in terms of KRA. Answer – If I had 100$ I will find a niche which is less competitive and build 2-3 articles pieces around that niche & rank it. I will invest 20$ in domain & hosting, 30$ in content, 30$ in buying some links from Fiverr & rest in manual SEO link building. Having strong backlinks helps you to beat your competitors and site will fetch you lot of $$$$$. Once blog start getting potential traffic for that particular long tail niche keywords then start monetizing with Adsense, sponsored content & do affiliate marketing. This way you can turn your 100$ investment into 1000$+ per month. Bio – Jitendra Vaswani is a crazy digital marketer & professional blogger from india. Answer – Biggest mistake was selling one of my blogs last year in $40,000 USD .. i should have tried capturing more profits from it and should not have sold it. But you learn new things everyday. Answer – If i start fresh right now .. i would save $85 for the next month. Then i can keep $85 for social media marketing and may be hiring a freelance content writer to write content for me .. so that i can have more content and do social media marketing to gain visitors and followers. That would be giving me a headstart. Answer – When I first started blogging, I was very intent on attracting visitors to my blog. I focused on creating good content that readers would find valuable so they’d keep coming back to my blog. This took a lot of time and effort. It mean a lot of research, gathering information, images and early on I even started learning how to integrate video into my blog. I used social media and blog commenting as the primary mechanism for driving traffic to my blog. With a lot of hard, I did start getting traffic to my blog. Once it started coming in, it never slowed down. I started getting top page ranking with many posts and I had lots of engagement on my blog. I came to realize, though, that I had made a big mistake in the structure of my blogging business. I did not adequately monetize my blog. By that, I mean that all the traffic, buzz and conversation wasn’t converting into profits. It wasn’t because people were not buying products and services I was offering, it was because I wasn’t offering any! My business was just not set up right to monetize visitors to my blog. I had the standard opt-in box to capture subscribers and build my email list, and that was working. People were signing up for my email list, but even there, I had no good monetization structure in place. I was giving value, gaining praise and scoring high ranking with Google. But it wasn’t until I started integrating a solid monetization funnel into my blog, that it became a real business. When I coach new bloggers today, the FIRST thing I tell them to do is work backwards. What do you want people to do at the end of the flow? They visit your blog, love your content, comment and social share… but how do you want to monetize them? What do you want them to buy from you? A click to an Adsense ad? Hire your service? Buy your product? Buy an affiliate product? Think of this “end-game” first, not last. Put it into place right away even before you’ve written a single blog post. Now, when you do start getting traffic, your blog will be set up optimize that traffic from the perspective of monetization. Answer – If I only had $100, I would use it to have someone create my blog, assuming I don’t know how to do it myself. I could do this by going to Fiverr or some other site where people offer work like this for a very cheap price. I’d get a WordPress site (dot org). This is free. I’d buy a private domain and standard hosting plan that would cost me less than $10 a month. Once I had a blog set up, I’d put great content on it and start sharing that content on social sites. It doesn’t cost anything to start letting people on Facebook know I just wrote a blog post. If it’s a good article with valuable information, people will start clicking on my blog post links and sharing them. That gets traffic to my blog. Once they’re on my blog, I will ask them to buy my service, or check out an affiliate promotion. That can generate some revenue. Now, Facebook is only one example of a free traffic resource available to me. All the social media sites are available to me to use in the same way… Twitter, YouTube, Instagram, LinkedIn and many, many others. I’d focus on learning how to use one or two of these social media sites to get people to know who I am, and start clicking through to my blog. As soon as I started making a few dollars, I’d immediately pay for an autoresponder service so I could start building an email list from the visitors to my blog. Once all this is in place, it’s just a matter of growing it bigger and bigger. Bio – Donna is a well known blogger and creator of “Blogging Magic” – an intensive guide to blogging. Answer – While coming to blogging being an Inspirational Blogger & Life-Coach, I don’t find mistakes because I consider my journey as a blogger in on the right path and I am getting much more than I was expecting at the beginning. I am getting unlimited love from my readers and having an opportunity to impact their life positively every single day. This is possible because of my blog. At the same time, I must say there greater scope to create more engaging content. And if I could have done something better then I would have created more Video content from the beginning. Also, I would have started a Podcast. I advise all newbie bloggers to consider creating more video and audio content to create greater engagement. Having said that I strongly believe in Blogging the POSSIBILITIES ARE ENDLESS. So, don’t think too much and start with whatever idea you have and make sure you love what you do. Answer – I love this question because I started my blog with exactly $100 or to be precise $99.9 . Hehe ..it sounds AWESOME! Well, the truth is you can’t do much with $100. I’d use the $100 to buy a domain, hosting, a theme, and a logo to build the brand – that’s a no-brainer. Then, get to work. Coz that’s when your real work starts. Start writing new blog posts on a consistently. Create a highly valuable FREE report or E-book to get subscribers. As in $100 you will not be having any budget for promotion so use all the Social Media Channels to share and promote your blog/blog posts for free. It will take some time for your blog to become profitable and earn money for you. But if you are really passionate and dedicated, it worth all the hard work you put in the beginning. And you have to have the patience to see your blog grow faster and you become a Pro. Remember it’s not a Rocket Science. Success will find you if you are dedicated and focused. Do not run after money, run after creating an impact on your readers and money will run after you. Answer – Well without mistakes no can really become a blogger. A blogger learns from his mistakes and develop himself to better. I started my first blog Am I Psyche? back in 2013 and I can proudly say that it was my biggest failure despite working for 1.5 years on it. The biggest mistake with this blog was poor keyword selection. This failure becomes a great milestone in my SEO and Blogging journey. After this I started many few other blogs with proper keyword research which are doing beautifully over the web. Answer – $1 for domain and $24 for hosting. It is all a blogger need to have. I will save $75 for future. Writing quality content and promoting that content withing specific domain will lead me to make my blog profitable. I am sure that you have got a lot of information from this roundup than you get from a single post. That’s the perk of reading a roundup post as it is a collection of words of wisdom from the experts. So it’s your turn now. What do you think about my roundup? Do you want me to continue with this type of post? And, have you got a topic for my next roundup? The stage is empty now. Come, take the mic and announce your opinion.